One of my favorite classes at Stanford was Experimental Robotics. 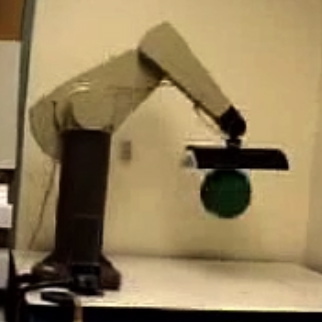 For my group's final project, we programmed a robotic arm to bounce a four square ball dynamically. My partners on this project were Mike Stilman and Drew Baglino. Our wonderful professor is Oussama Khatib. Thanks to Mike for this edit of the video. Mike has a bit more detail about our project on his page.